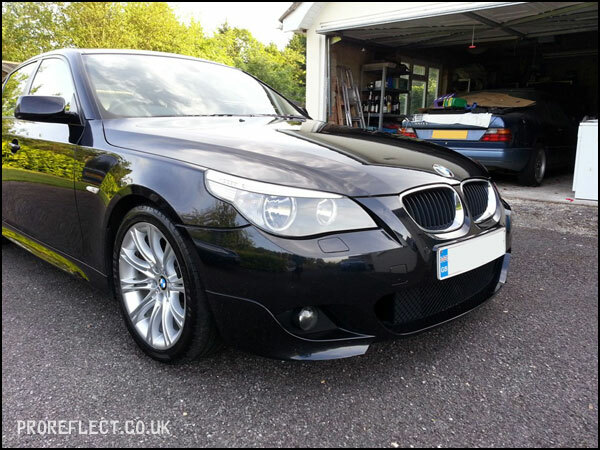 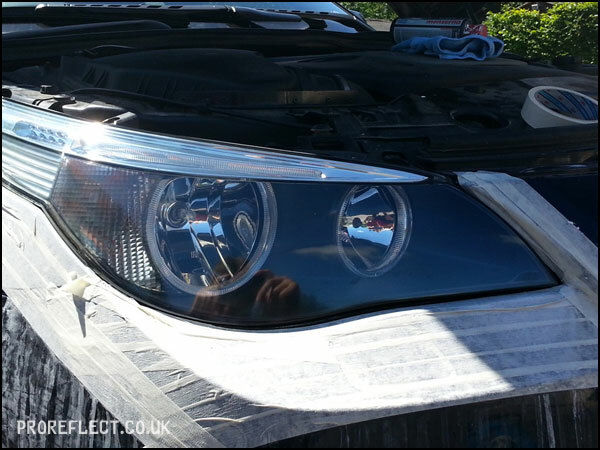 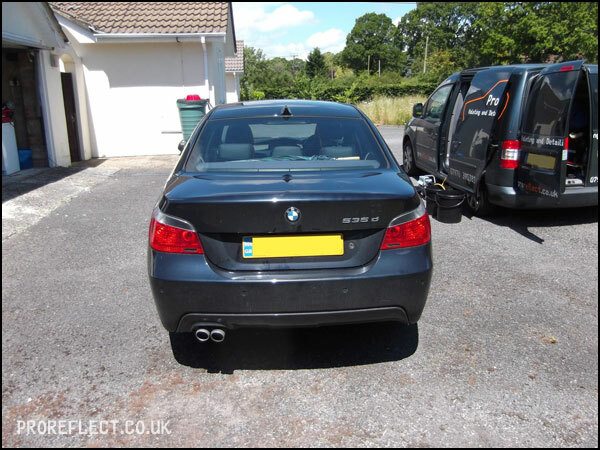 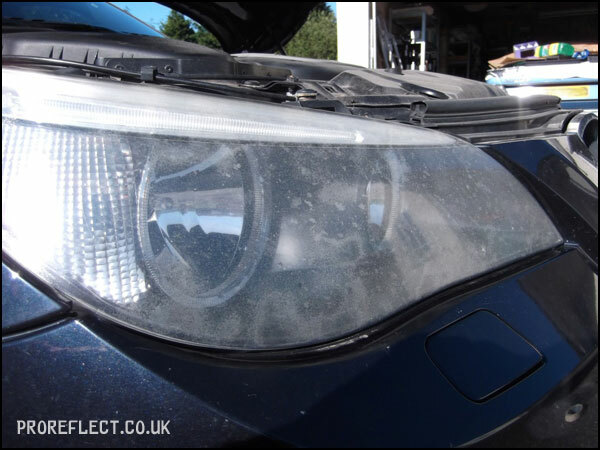 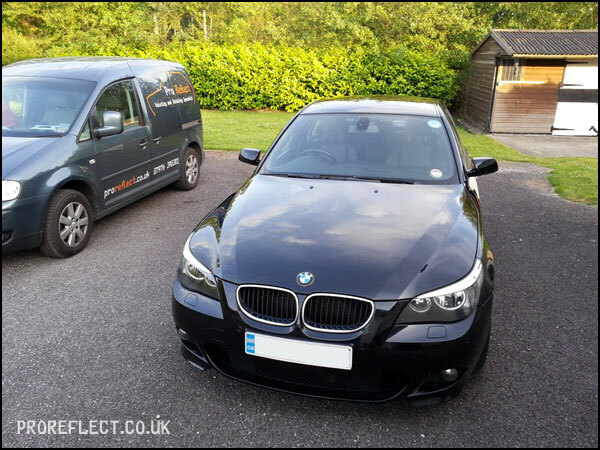 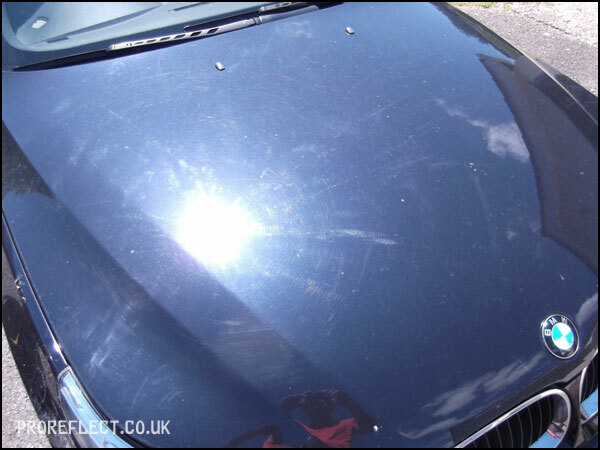 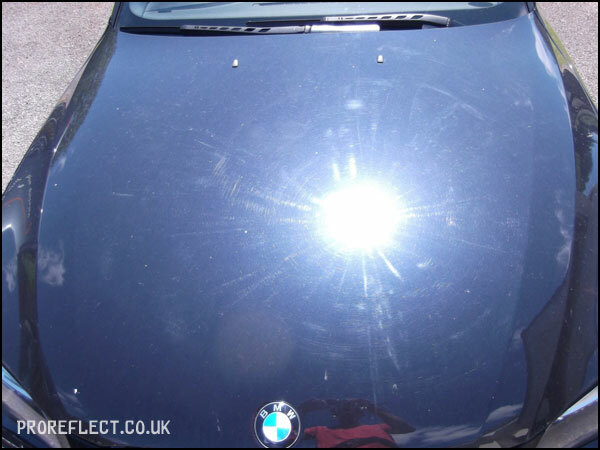 This 2005 BMW 535D Sport was booked in for our headlight restoration service together with a Minor Enhancement to remove light swirls, holograms and generally revive the paint. 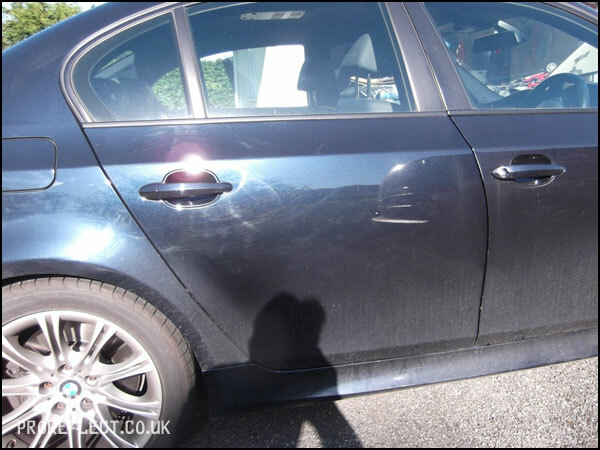 The exterior was given the usual safe wash. 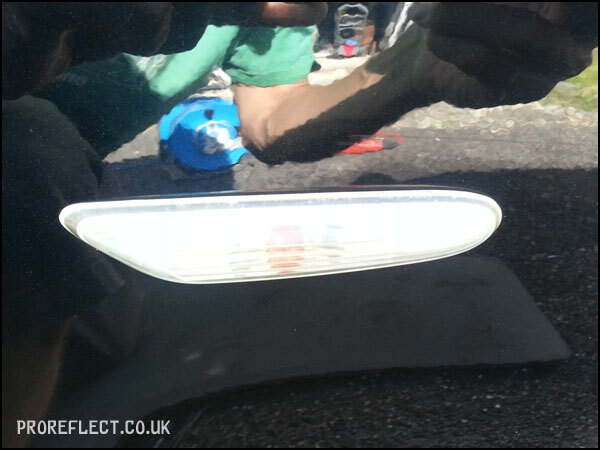 There was a lot of tar and embedded iron that needed to be removed before being clayed. 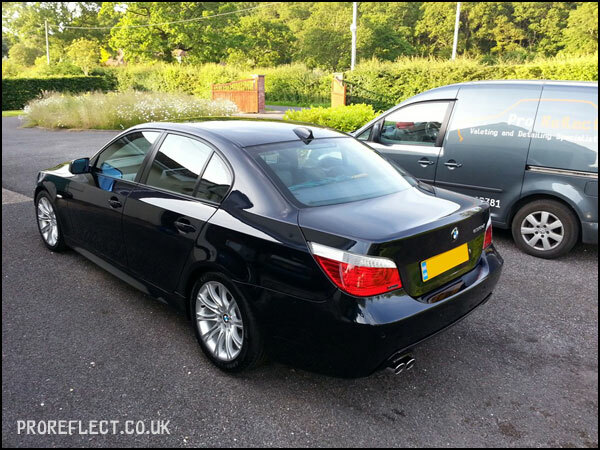 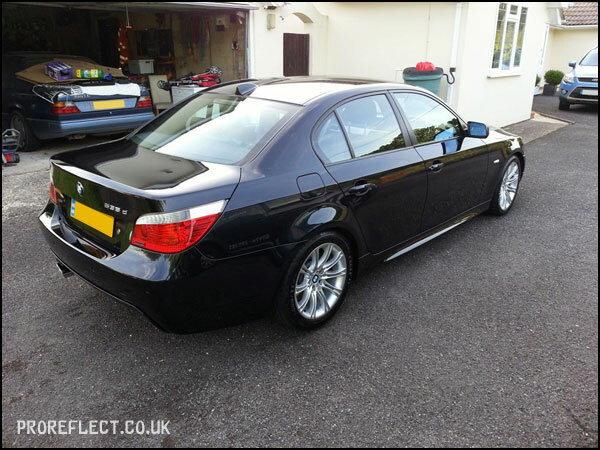 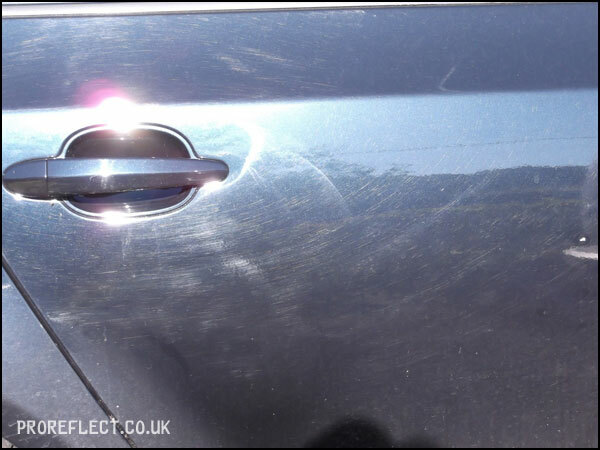 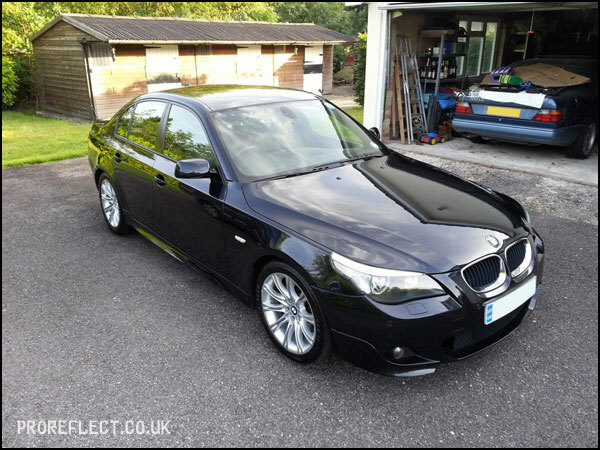 The paintwork was lightly polished with Menzerna PO106FA and wiped down with CarPro Eraser. 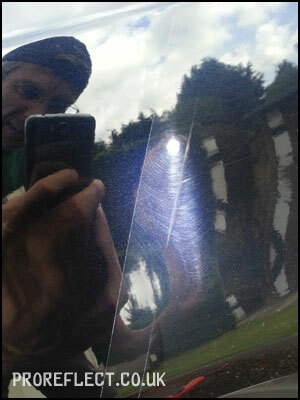 Protection came in the form Finish Kare FK1000p and a full wipedown with FK425. 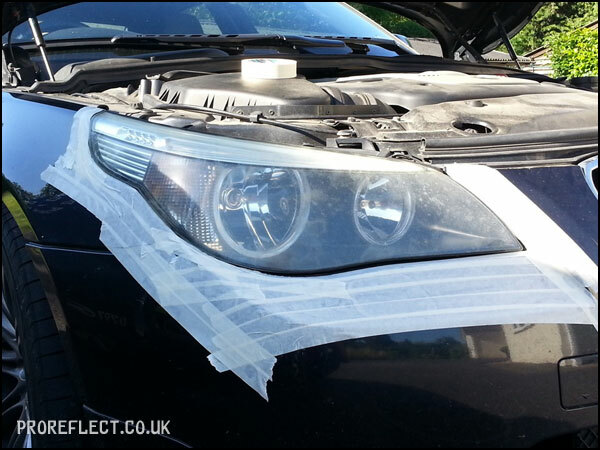 First up the headlights. 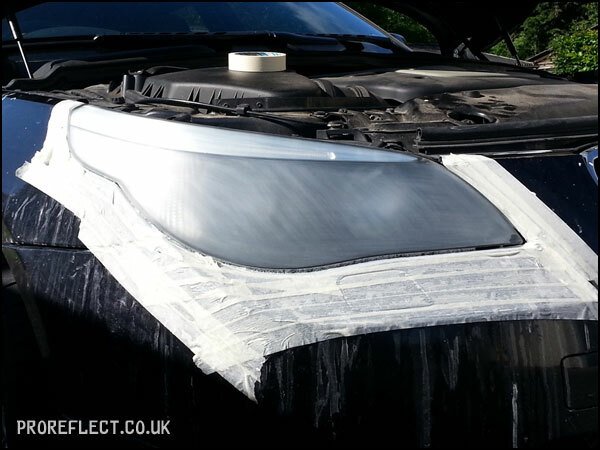 Masked up fully to protect surrounding paintwork. 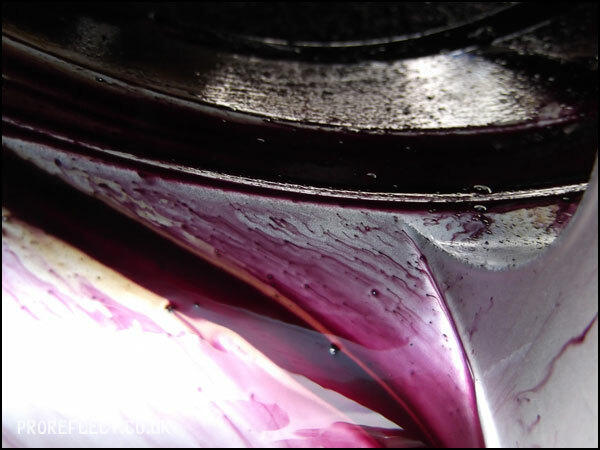 Various grades of wet and dry paper, starting with 600 grit and working all the way up to 3000 grit. 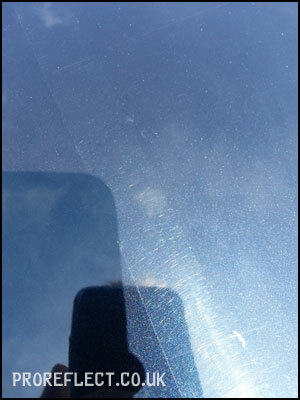 Gtechniq P1 used to remove the light sanding marks left by the 3000 grit paper. 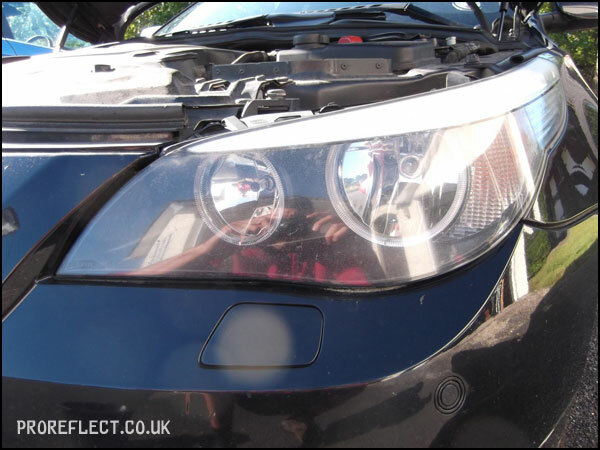 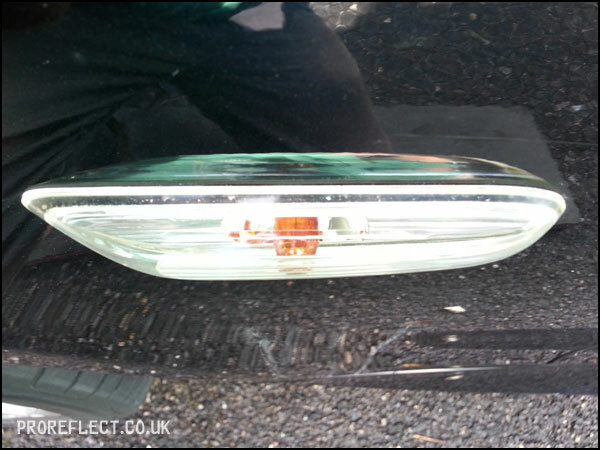 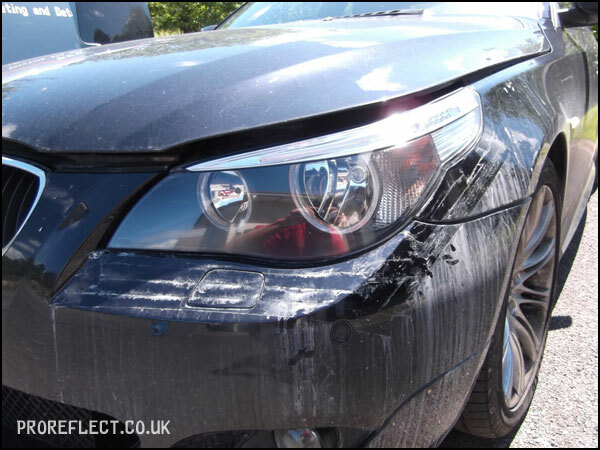 The headlight is then sealed with Gtechniq C4 to prevent further UV damage. 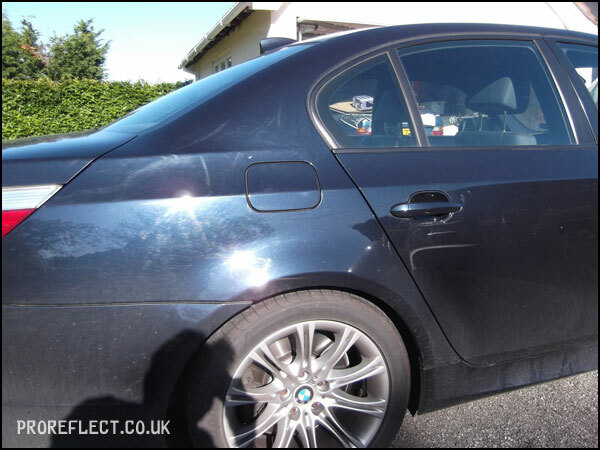 All BMW’s seem to suffer from the side indicators fading over time, just like the headlights. 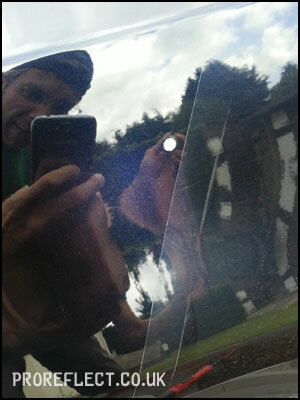 3000 grit paper sorts that out and again sealed with Gtechniq C4. 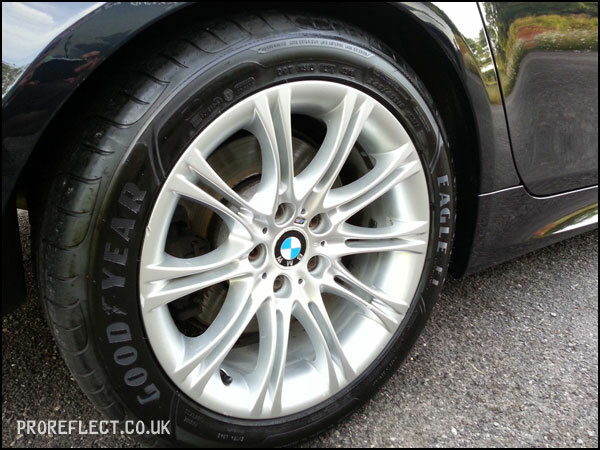 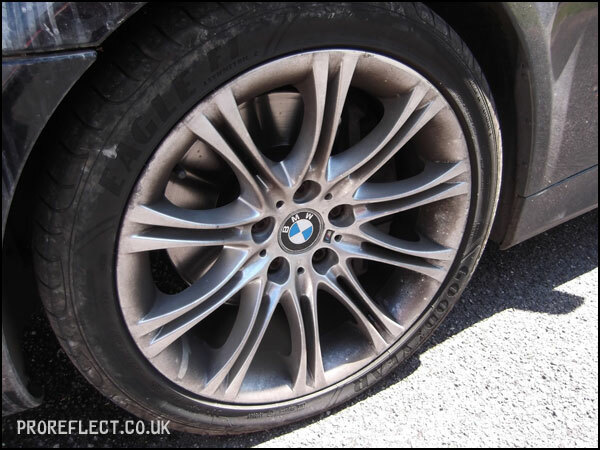 Wheels rinsed, then cleaned with Bilberry Cleaner before getting the CarPro IronX treatment which dissolves unwanted iron contaminates. 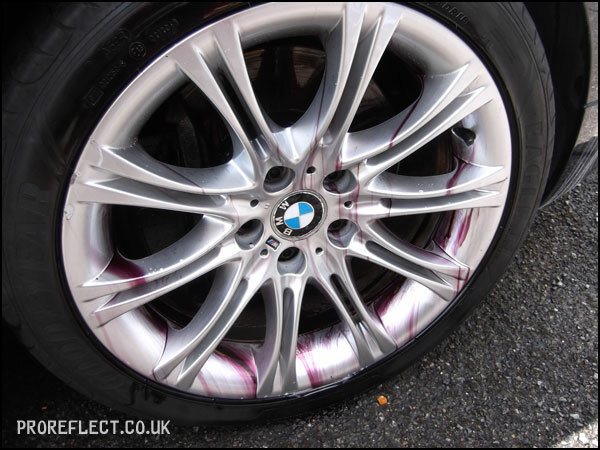 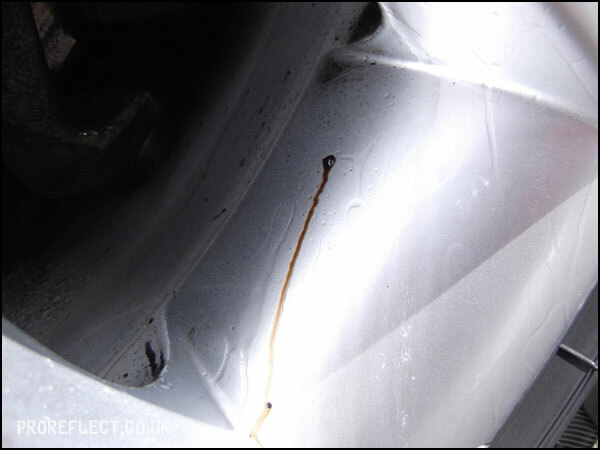 Tar spots removed from wheels. 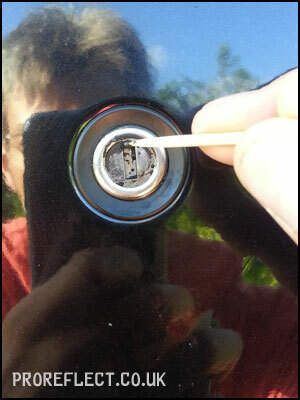 The boot lock getting cleaned properly and then it was onto the Minor Enhancement – Bonnet 50/50. 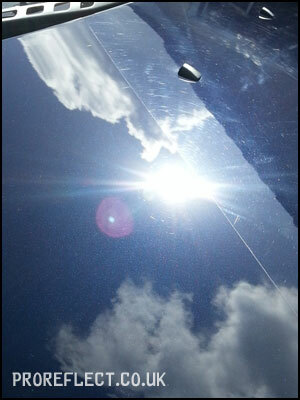 Not too many shots of the paint correction but you get the gist. 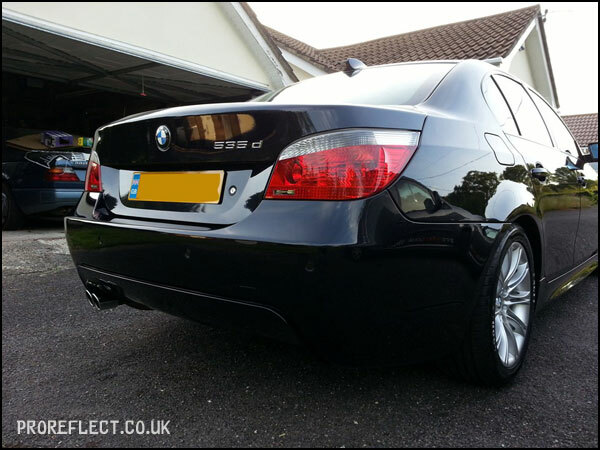 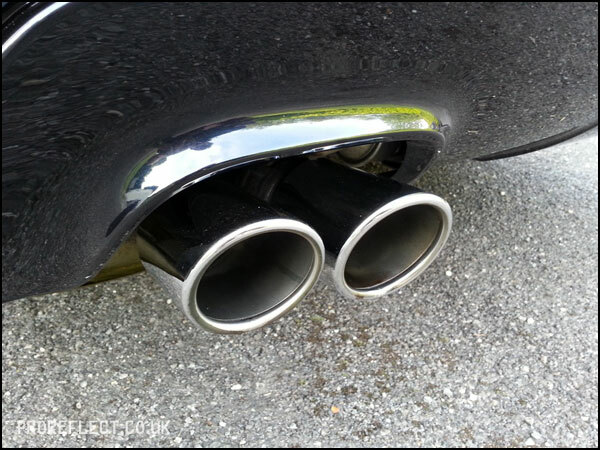 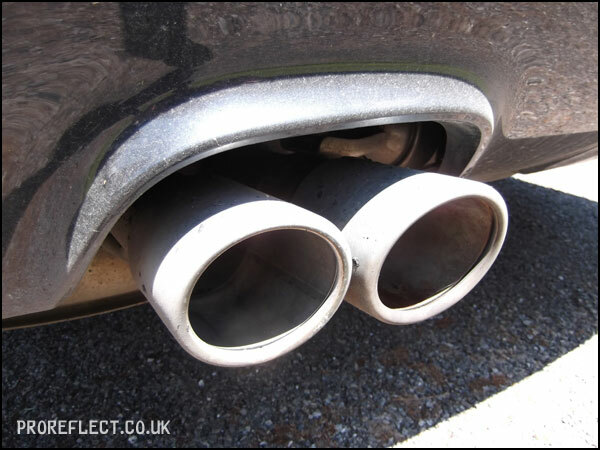 The finished article – tailpipes cleaned with Gtechniq M1 and 4/0 wire wool before being sealed with Carbon Collective Platinum Wheels which is heat resistant and therefore they should keep like this for a while.